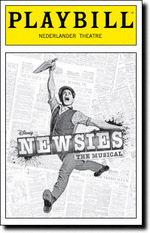 Set in New York City at the turn of the century, the musical is the tale of newsie Jack Kelly, who dreams of a better life far from the hardship of the streets. But when Joseph Pulitzer and William Randolph Hearst raise distribution prices at the newsies' expense, Jack finds a cause to fight for and rallies his army of newsies to strike. The single greatest production overall I have ever seen! The technical aspects of sets were excellent! The dancing was incredible to say the least. I am a cult follower of the film and I am very fond of every aspect changed for the stage production! Will definitely be catching this one again! A nice musical to see. Not one I would put on my must see list.